For those of you who are not yet familiar with Manduka, you should know that this company has a lot of experience and a strong tradition when it comes to manufacturing high quality yoga and pilates mats. The company first started back in 1997 and it has remained one of the most important players on the market ever since. Every manduka yoga mat review will praise the brand for being able to manufacture such amazing products that are both reliable and durable. This Manduka eko review is meant not only to present the product but also offer readers valuable information on how to best choose a yoga or pilates mat and the desired features they ought to have. Keep on reading for additional details and for valuable information regarding yoga mats and the Manduka brand. It might sound a bit too much, but the quality of your yoga mat can certainly influence the quality of your yoga sessions and the correctness of your poses. 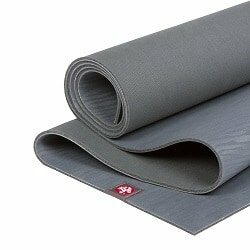 It is obvious that a low quality mat can only lead to uncomfortable yoga classes and an overall unpleasant experience. This is exactly why it is important to always be able to choose the best products. It might seem like yoga mats are fairly easy to choose and all you have to do is look for the most popular or cheapest option available on the market. However, you should know that there are plenty of other features that yoga mats should have in order for them to be considered superior. 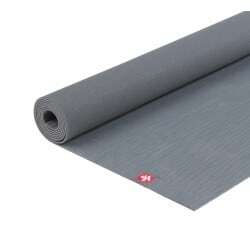 First of all, if you want to make sure that you are buying a high quality yoga mat, you need to make sure that you are getting it from a well-respected and reliable brand. This is basically your guarantee that the mat will be durable and won’t start to flake or break down when you least expect it. Second of all, make sure that the mat is made out of a material that does not slide, regardless of the surface you are using it on! Being able to confidently complete your class or take on a new yoga pose is highly important. That is why getting a good grip and not fearing that you will eventually slip and get injured is crucial. Last, but not least, you want to choose a yoga mat that gives you the right cushioning and that is thick enough for you to try out anything yoga - related. More than this, an appropriate thickness can also ensure that your joints will not have to suffer as a result of a difficult pose. Now we have reached the interesting part of this Manduka eko mat review: the product overview, where you are about to find out the most important features of this product. Firstly, you should know that this Manduka mat is advertised as the most durable rubber yoga mat on the market. It contains no PVC and no harmful plasticizers. Instead, it is made out of biodegradable natural tree rubber with non toxic foaming agents or AZo dyes. It is 99% latex free, which makes it safe to use, even for those of you who have certain latex sensitivities. Manduka actually prides itself in being able to reach a zero waste manufacturing process for this product. Without a doubt, one of the most impressive things about this mat is the manufacturing process, which is one of the most eco friendly endeavours at the moment. 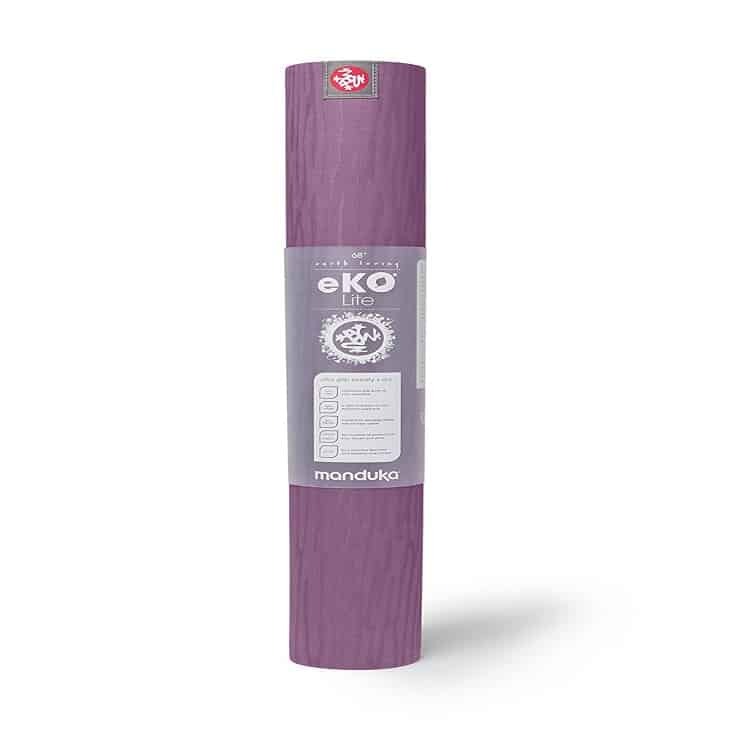 Any Manduka eko yoga mat review will recommend this product to people who are suffering from various types of allergies and latex sensitivities. This is a fantastic advantage, especially since there aren’t as many brands out there who are equally concerned with the environment and with making products especially for people with sensitive skin. Although it is one of the most environmentally friendly mats available on the market at the moment, this product seems to have been exclusively based on that. The product description mentions nothing about the cushioning effect or about the way it can protect your joints or even about the material which could or could not slip depending on the surface you are using it on. The bottom line of this Manduka eko review is that the product is far superior to similar ones available on the market, especially when it comes to its ability to meet the needs of those with sensitive skin. I would recommend this mat to any yogi who is concerned about the environment and who wants to do his best to make a change! ← Manduka Rectangular Bolster Review: Should you Buy it?